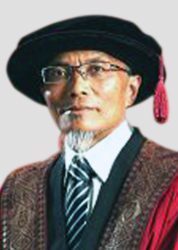 Prof. Dr. Abu Bakar A. Hamid has chosen academic as his profession in 1992, from a lecturer and later rise to a Professor of Marketing and Supply Chain Management. He holds a BBA and an MBA from Northrop University (USA) and PhD from University of Derby (UK, 2003). He has demonstrated an excellent record of teaching and supervision for more than 25 years in the academic field, both undergraduate and postgraduate levels. Above all, his achievement in graduating more than 35 PhD candidates proves his ability, capability and passion in postgraduate supervisions. He has shown excellent records of impactful research and publications which directly has strengthened his expertise in the area of his interest. He managed to secure several competitive national grants and consultant for various projects and later profoundly published in more than 300 articles in competitive international journals, proceedings, books and book chapters. Such commitment is truly an academician landmark. From the accolades, his academic recognition and leadership demonstrate the level of professorship. His notable contributions are recognized locally and internationally as proven by invitation as invited speaker, reviewer, and editor in journals, external assessor, internal and external examiner. With such caliber, he could contribute to any academic institution globally.